Bird Sounds | Bird Songs and Calls | an overview. Knowledge of bird sounds - bird songs and calls - is one of the great joys of life for anybody interested in the natural world. Not only does it provide access to a hitherto secret world and add immensely to the pleasure gained from being outdoors; it’s also a great alert mechanism to the presence of birds, particularly those shy, secretive species that rarely show themselves, and is an invaluable guide when trying to separate species that look very much the same. Indeed, for the experienced birdwatcher, the ability to recognise bird sounds is often as important as visual recognition skills. But for the beginner, getting to know bird songs and calls can be a daunting prospect. Certainly it’s a relatively long term project that for success requires patience, perseverance, persistence and considerable practical experience. There will be many challenges along the way, but also tremendous satisfaction. So where does the relative novice begin? Listen, then, to the local birds, and track them down to see which makes the sound – for some reason, it always seems to be easier to remember a song or call when the bird has been seen making it. Do this repeatedly until the sounds are firmly set in the consciousness, until they’re instantly recognised without really thinking about it. Then gradually extend your repertoire to a wider range of species. And also, if possible, go out with friends and acquaintances who can already identify bird sounds – most will be quite happy to share their knowledge and provide help where it’s needed. But beware bird field guides that offer phonetic renderings of songs and calls, for it’s often very difficult to translate these into something really meaningful. Do, though, acquire bird sound recordings, for they’re an indispensable aid to rapid learning, and also provide hours of pleasurable listening. They’re great memory joggers before a trip to a little visited habitat, or at the onset of spring with its associated crescendos of birdsong. They also provide a means of ‘looking up’ a bird sound when it’s not possible to see the songster in the field, and make a fine background accompaniment to any car journey. And through repeated listening, they help the songs and calls to become firmly established in one’s mind, whilst also providing a useful means of testing knowledge as the sound tracks unfold. There are a considerable number to choose from in CD, DVD and audio download formats. 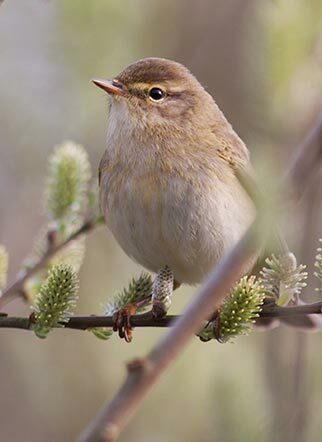 Some deal specifically with birds of particular habitats – garden birds or woodland birds, for example. Others contain only the sounds of birds likely to be encountered in Britain, whilst yet more include birds of mainland Europe and further afield. A few are even designed for easy listening, and provide a relaxing audio experience of, for example, the woodland dawn chorus. Most, if not all, are of the highest quality, but despite this, such is the variety of bird sound that none of the recordings are sufficiently comprehensive to include absolutely all songs and calls. To help fill the gaps, then, it’s necessary to have access to a number of recordings. Many bird sound CDs and DVDs are available through the Amazon website, where can also be found customer reviews. Prices are usually extremely competitive, the ordering process is quick and easy, and delivery is typically fast.